24-hour forecast: Mostly sunny today and partly cloudy tonight with isolated showers and the chance of an isolated thunderstorm inland this afternoon. General Outlook: (Friday and Friday night) mainly fair weather with only isolated showers. Tonight E-NE 10-20 kts Choppy 3-4 ft ISOLATED SHOWERS. Tomorrow E 5-15 kts Choppy 3-4 ft FAIR WITH LITTLE OR NO RAINFALL. 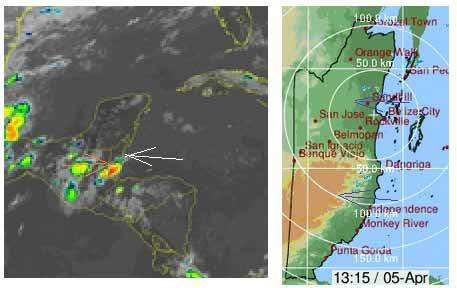 A sharp upper-level trough has shifted to the NE of the Caribbean. This is allowing broad mid to upper-level ridging to build over the area from the W. As a result, the weather over the Caribbean will remain relatively dry for the next several days. The surface high pressure ridge to the N of the area will remain weakened during the next several days as low pres systems depart eastward from the United States. This will keep wind speeds over the basin relatively low in the light to moderate range. Winds will be moderate to fresh over the south central Caribbean, except locally strong along the northern Coast of Colombia during the late night and early morning hours. 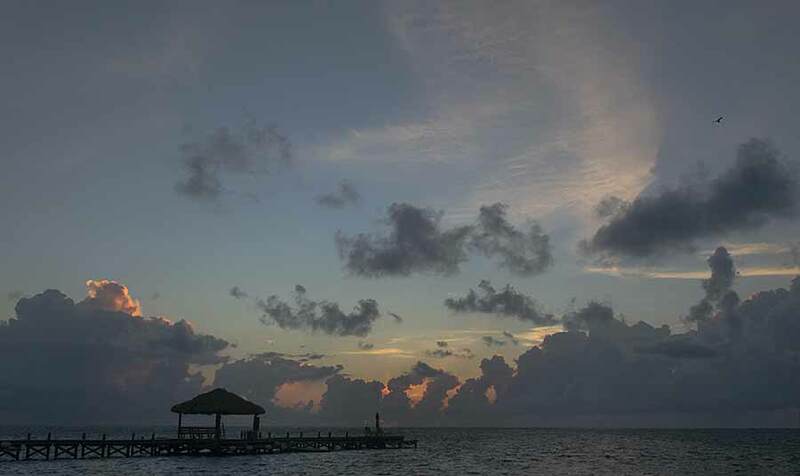 On Ambergris Caye this morning the breeze is from the East at 6 mph. We had a short rain shower earlier but only enough to settle the dust. 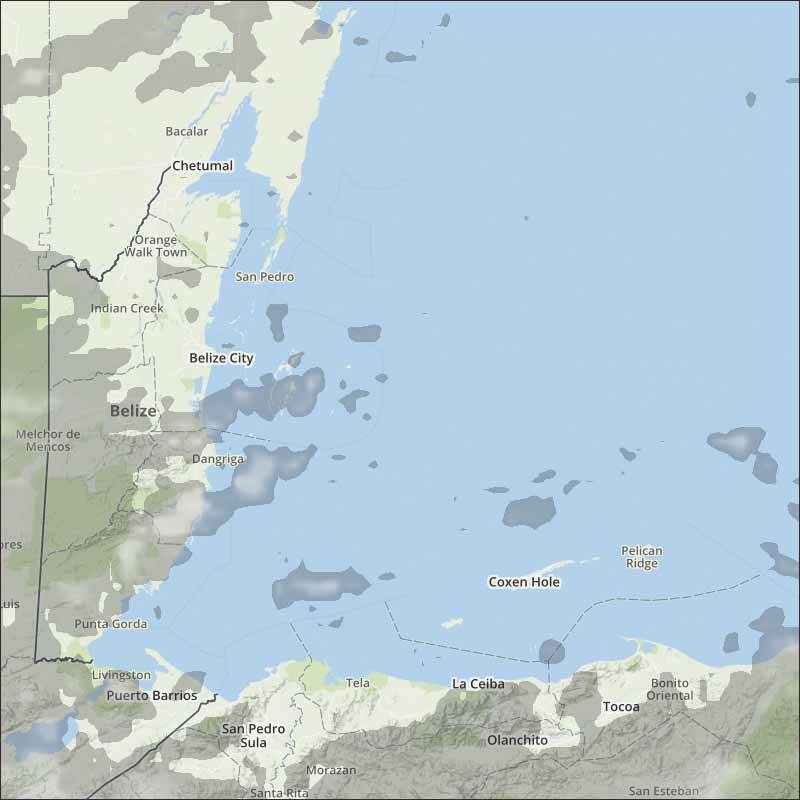 The expected high today is 84 f.
There is a lot of stringy cloud in the Caribbean and over much of Belize already, and there is westerly high-level cloud around. There are are few small rain showers around this morning. Looks like today will be mainly sunny, but with significant white clouds and the small chance of the odd rain shower anywhere, possibly more late this afternoon. Missed that rain .... must have been a gift to your house only!